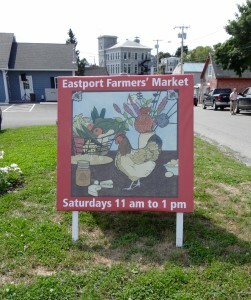 Eastport Farmers’ Market is located at 7 Washington Street in the gravel parking lot next to the Post Office. The Market is held Saturdays from 10:00am to 12:00pm from mid-June to mid-October. Offerings include a variety of fresh, local produce, herbs, farm fresh eggs, seasonal fruits & berries, homemade breads and assorted baked goods, herb/spice blends, canned goods, handcrafted soaps, some crafts and more. This market is a great place to start your tour of the peninsula. Come early to stroll the neighborhood, and get a feel for this lively community. For ongoing market news see their facebook page. 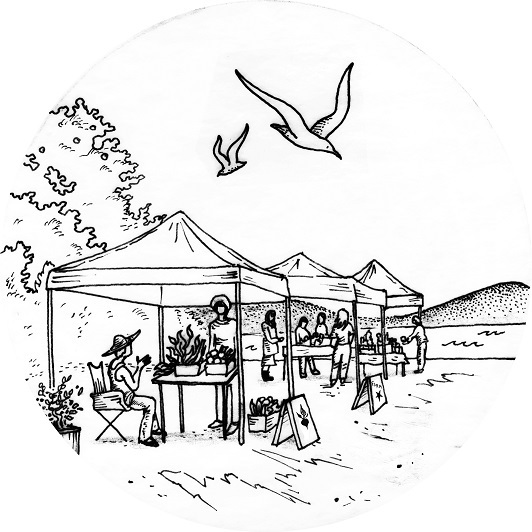 Indoor activity: Eastport Farmers’ Market coloring page here.